One of my favourite things to do when I need to unwind is to spend time thumbing through the Pinterest app on my phone, pinning images onto my growing collection of boards. This is not just a great means of seeking out new ideas for interiors styling, it also enables me to categorise into colours, styles, and rooms; great for identifying trends too! However, when I am in full creative flow on my phone or desktop computer, I sometimes find myself yearning for the days when I used to rip pages from my favourite interiors magazines and collate these clippings to create my very own mood boards. Whilst there are many online options for creating e-boards right now, like the brilliant Pinterest, sometimes going back-to-basics can be so much more satisfying, and therapeutic too. 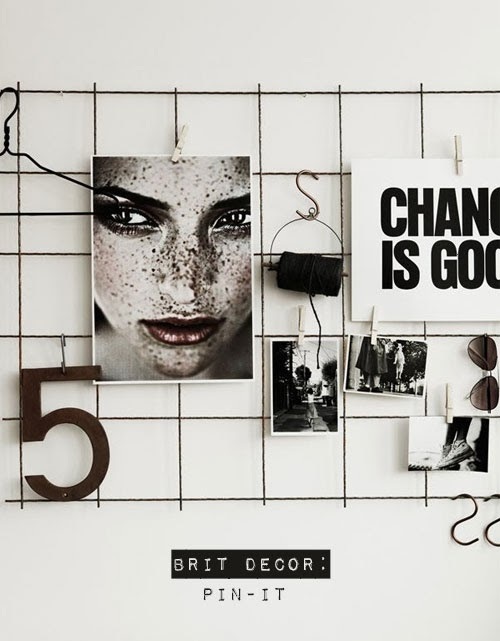 The beauty of pin boards is how they can be changed at an instant to reflect whichever mood or style suits you on a particular day. Why not create your own mood board using colours and images that really inspire you? Mood boards can actually speak volumes about your own creative style and are a hugely useful point of reference (especially for us bloggers!). 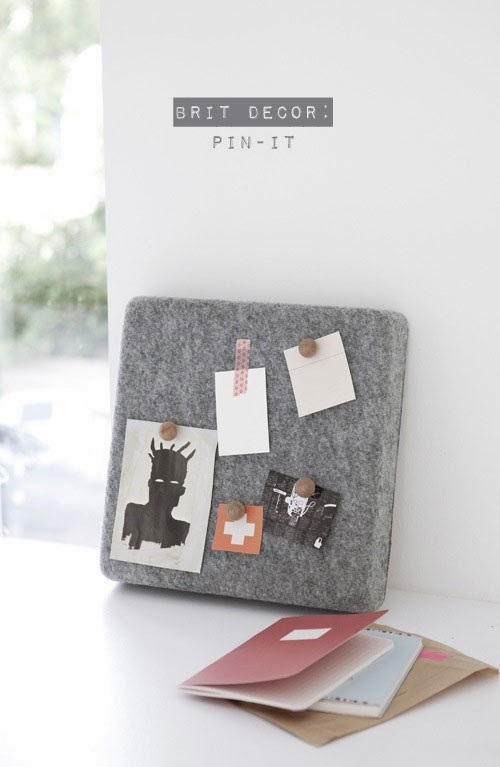 You can also use boards to display your favourite mementos. 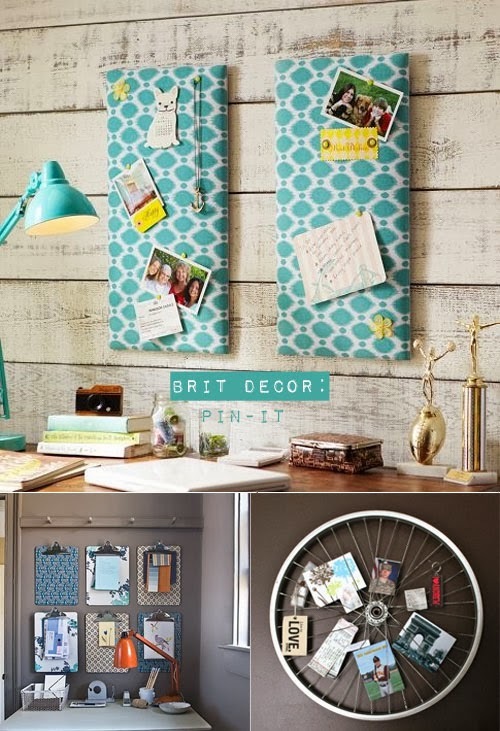 Not only this, pin boards can look great too - Up-cycle, recycle, customise. 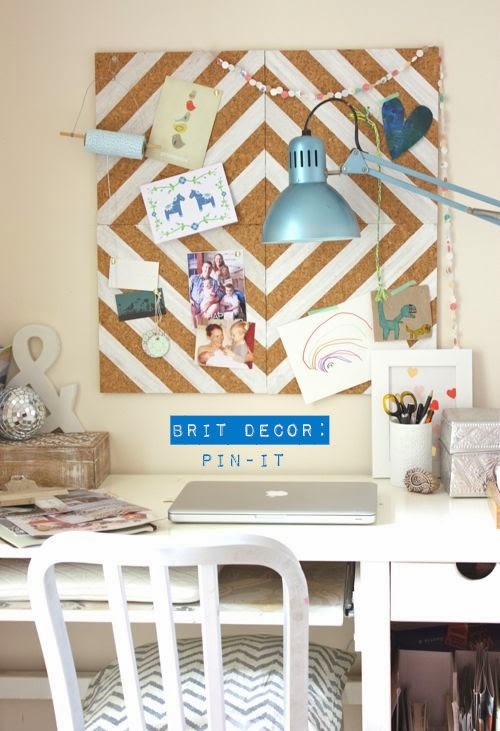 My favourite board idea 'above' has to be the uber-cool cork boards with striking white diagonal stripes. The point is, a successful board will always be one that reflects you best. So what's your style?